The group stages of the 2016 Olympic Women’s Basketball tournament in Rio is now over and we can all look forward to the knockout round starting. Monday 15th of August is a rest day for all concerned, the remaining 8 teams are back in action on Tuesday 16th of August, and we’ll preview these games well before the action takes place. For now though, we’ll round up the last of the group action and give you the lowdown on the games in the knockout round of the Rio Games. With the teams in second to fourth place all finishing, head to head records and points difference had to be used to split the teams and rank them in order. The final round of group fixtures took place in Group B and the three games gave basketball fans in Brazil plenty to shout about. There were still a couple of matters to conclude, so there was excitement and drama on offer in these matches. There was no real surprise in the opening game of the day as the United States swept to another convincing victory. Tina Charles and Brittney Griner both grabbed 15 points in the win while Sun Mengran provided 16 points in the loss. With China losing, Serbia knew that the final qualification spot was in the bag but they still managed to get the job done against Senegal. It was far from a convincing victory but it was enough and the Serbians move into the next round. Sonja Petrović provided 20 points in the win while Astou Traoré offered up 30 points in the defeat. In the last game of the day, Spain and Canada were battling out for second place and it was the European side that prevailed in the end. Alba Torrens was once again a key player for the Spanish side, offering up 20 points in their 13 point victory. For Canada, Nirra Fields offered up 13 points in the loss. With every team ending up with a different points tally, there was no need to take head to head records or any other criteria into consideration. 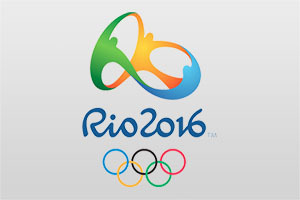 The knockout round of the 2016 Rio Games begins with the quarter-final stage and all of the games will take place on Tuesday 16th August. On Saturday the 20th of August, we have the Bronze medal match; played out between the two losing semi-finalists and then we have the final itself, between the two winning sides of the semi-final. This would have been a sore one for the host nation to take but at least they weren’t ranked as the poorest team in the tournament, an accolade that sadly falls on Senegal. Given that Brazil and Senegal both failed to win a game, there can be no surprise at their ranking. Basketball fans that have followed us throughout the first week of the tournament will not be shocked by these listings as these players have been mentioned on numerous occasions in our match reviews and previews. The most points scored in a single game was 37 and this was achieved by Liz Cambage of Australia in their 86-92 win against Japan.